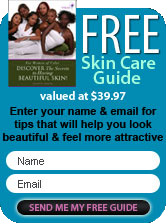 When it comes to skin features, black skin/dark skin is often considered unique for being more resistant to sun damage and aging in comparison with Caucasian skin due to its melanin. This means that African American women age far slower than Caucasian women. However, African American women are still prone to many of the skin problems that other women experience on a daily basis. One of these is dark circles or bags under eyes. Having bags under eyes is not a pretty sight. Since dark circles are easily noticeable, it can be quite embarrassing when your work colleagues or friends notice your raccoon eyes. As a result, socializing is greatly affected; one may also experience lower self-esteem in public places. Dark circles are caused by a variety of different factors. The good news is that a plethora of treatments are available to remove puffiness under the eyes and keep it radiant and youthful. Of all the available eye creams to revitalize the eyes and other gels, there are a wide variety of home based treatments that you can use to save you a trip to your dermatologist and avoid paying for expensive treatments. Dark Circles � What Are They? Dark circles occur when your weakened skin tissues surrounding your eyes swell, usually as a result of aging and fatigue, leading to puffiness under the eyes. Although dark circles may not represent any kind of serious medical condition, they do require utmost care and attention in order to nourish your skin in the eye region and retain its natural youth. What Causes Dark Circles? Dark circles are caused by several factors, genetics, lack of sleep, allergies, and fluid retention being foremost. Heredity - Genetics represent inheriting weaker and thinner eyelids that can increase the visibility of bags under eyes. It also consists of inheriting darker under-eye circles. Fatigue - Fatigue, due to lack of adequate sleep and rest, can also be a reason for developing dark circles. Fatigue causes your skin tissues to weaken and thin out quickly, exacerbating the chances of getting dark circles. Allergies - Allergies are another factor responsible for giving you dark circles. Allergies such as hay fever or eczema can result in you rubbing your eyes excessively; the action in turn leads to saggy eyes. Fluid Retention - Excessive water retention due to changes in weather conditions, hormonal imbalances, and high salt diet can result in skin tissues surrounding the eyes to become swollen with fluid. Lifestyle Factors can also contribute to dark circles under your eyes. Lifestyle choices also play a significant part in aggravating the likelihood of dark circles. Here are the following factors. Lack of Sleep - Getting adequate sleep is a prerequisite for maintaining thicker eyelids and skin tissues. You should have around 7-8 hours of sleep everyday to avoid any risk of fatigue. Any less than this and your skin is at risk of being weakened and experiencing wrinkles. Poor Diet - A diet which is not rich in fruits and vegetables and high in fried foods or salt can leave your skin devoid of essential minerals and vitamins which are required to keep it nourished and healthy. This can increase the likelihood of dark circles. Lack of Adequate Water Intake - Your skin requires a sufficient level of water intake to maintain its natural elasticity and youthfulness. Lack of sufficient water intake can result in dehydration which can quickly cause your skin to become itchy and puffy. Sleeping with Make-Up On - If you frequently go to sleep without removing your make-up, it can result in skin irritation. Dark circles can quickly form if eyelids are not washed properly and the chemicals from the make-up are not removed completely. Smoking - Smoking is extremely hazardous for your skin. It depletes nutrients from the blood vessels and skin and can cause your eyes to look paler and weaker. Stress - Prolonged periods of stress and depression cause your body�s glands to secrete more sebum or oil. This causes a variety of different skin issues such as itching, bumps, redness and rashes. After gaining an understanding of what dark circles are and what causes them, let�s take a look at some of the best home based remedies you can try, to retain the natural glow of your eyes and reduce and eliminate your dark circles. Rose Water is another treatment you can use to soothe your eyes and skin. Soak a cotton ball with rose water and apply it on your eyes. Leave it for at least 10 minutes before your remove it. Repeat daily. Water Intake - One of the easiest ways to clear your puffiness under the eyes is to significantly increase your water intake. Dark circles are an accumulation of toxins. By drinking 10 to 15 glasses of water a day or at least half your body's weight in water, there will be enough fluid in your body to drain the toxins from your saggy eyes and replenish your eyes� natural glow and softness. Almond Oil - Almond oil is known for having moisturizing qualities. To use almond oil effectively, apply a few drops of almond oil on your dark circles every night before going to bed. 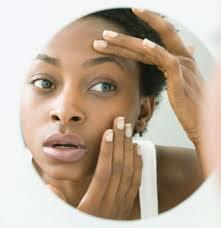 Keeping it on your under-eye region overnight will help it to sink in the affected area and nourish your skin. Using it regularly will help to increase blood circulation and remove the bags under eyes. Cucumber Juice - Cucumber juice is highly effective against dark circles. Squeeze the juice of cucumbers and pour it into a glass. Then dip a cotton bud into the juice to soak it and apply it on your dark circles. Cold Compresses - Use cold compresses on your eyes via a cold washcloth, cucumber slices, or tea bags. These cold treatments can help alleviate the puffiness under the eyes and soothe the skin. It also helps in bringing the swollen blood vessels down to its normal size. Potato - Using sliced potatoes can also help to mitigate your dark circles. Put raw potatoes in your refrigerator until it cools. Then slice it into thin pieces and put it over the dark circles for at least 15 minutes. Do this 2-3 times a day for best results. Avocado Cream - You can make your own avocado cream to moisturize your eyes. Mix 3 slices of avocado with 5 drops of almond oil and apply the mixture on the affected area for 5-10 minutes. Afterwards, rinse your eyes with warm water. Aside from these treatments, there are several eye products available now which are especially designed for African American skin, like those at Nyraju Skin Care, which can be used to treat dark circles and attain radiant and bright eyes.